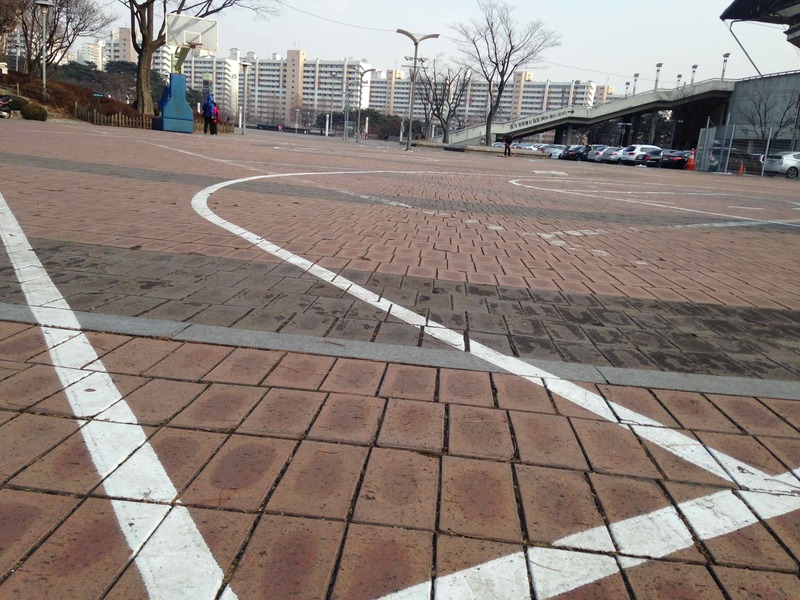 Most people go to World Cup Stadium in Seoul to watch soccer. 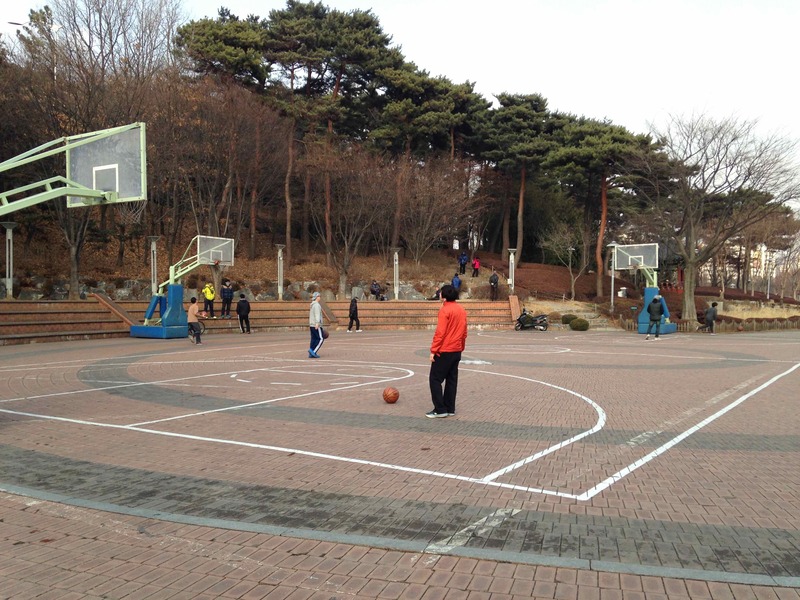 A well-kept secret about the grounds surrounding the stadium is that there is a nice basketball court outside the stadium's west gate. 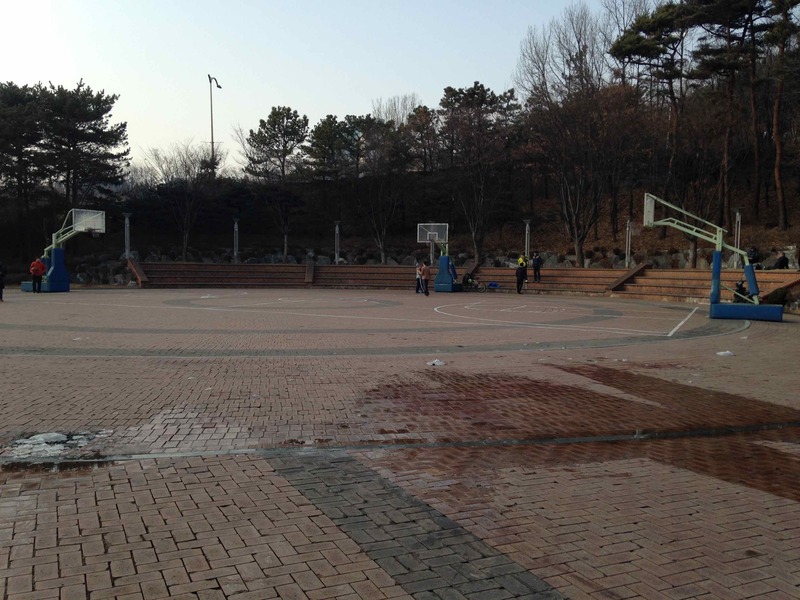 The area wasn't designed for a basketball court; it appears to have been built as an afterthought. However, the games played there are solid. 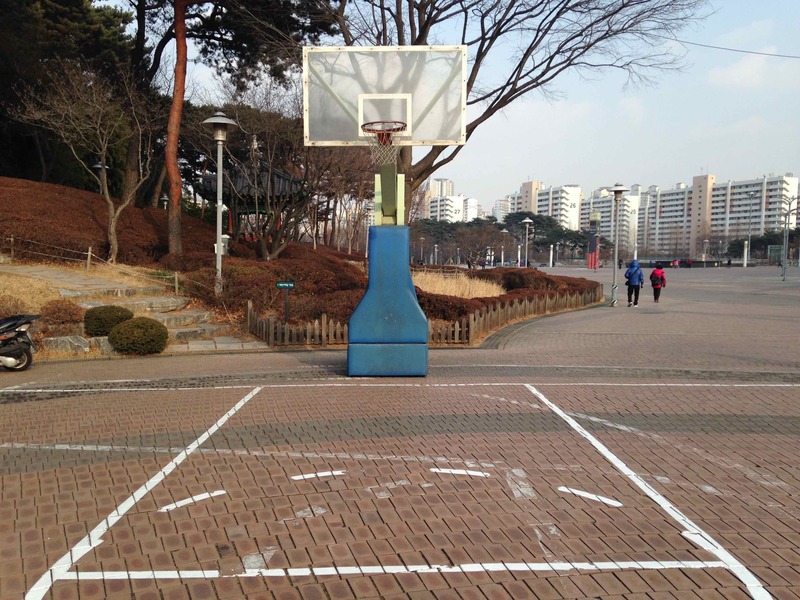 It is a good option if you're looking for a place to play basketball in Seoul. Bricks. Yep. Bricks. It may not be traditional, but it works. 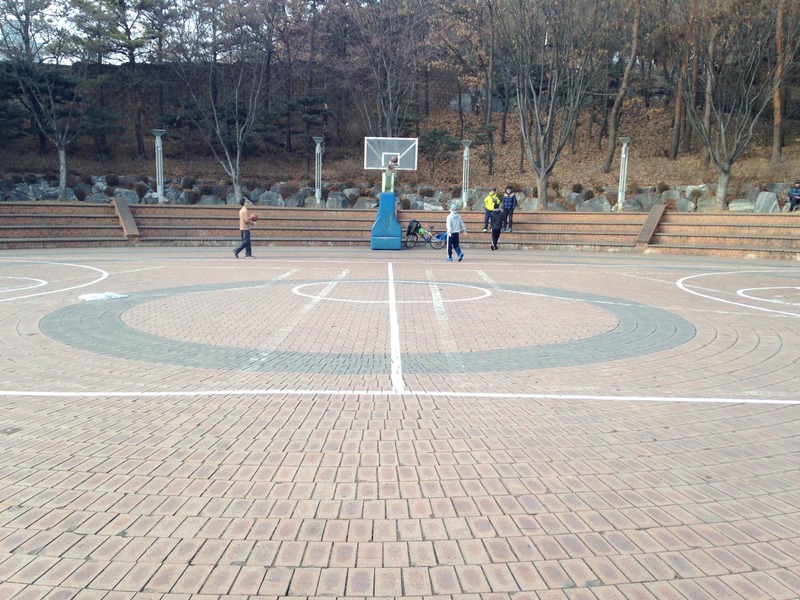 All of a court's standard markings are painted on. -There are many nearby conveniences such as restrooms and convenience stores. -The court is right next to a mountain. It is rather easy to find shade. 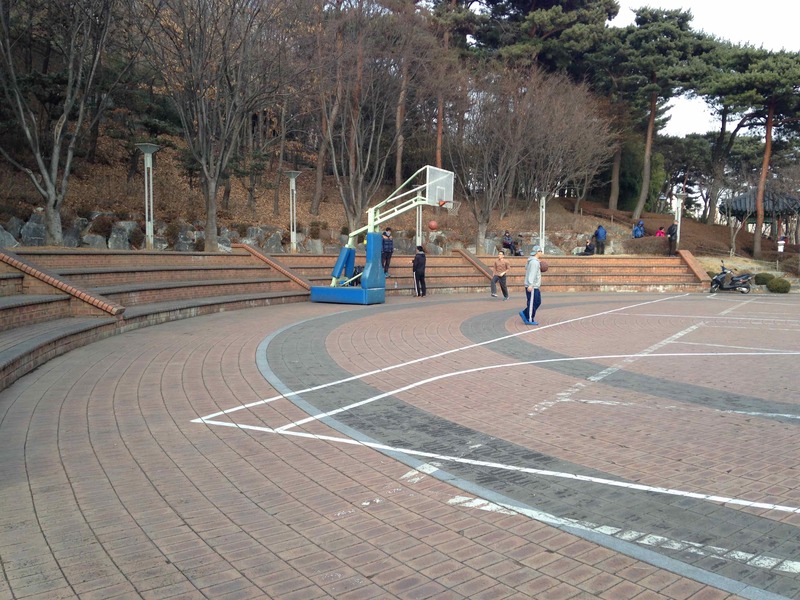 -There are "bleachers", or concrete benches, on one side of the court. They are perfect for either spectators or resting players. The surface is bricks. Not a con, per se, but strange nonetheless. There is a convenience store near World Cup Stadium Station. If that doesn't do it, go inside the stadium. There is a foodcourt on the second floor between the north and east entrances. Check out the World Cup Stadium photo album to see more pictures of the area. Use exit 2. Follow World Cup Stadium around to its west gate. 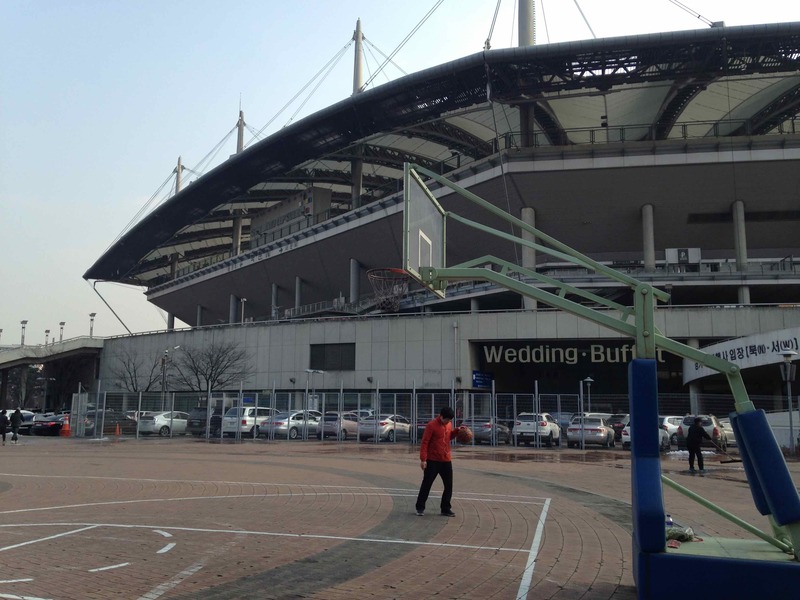 The basketball court is between the stadium's west gate and the nearby mountain.